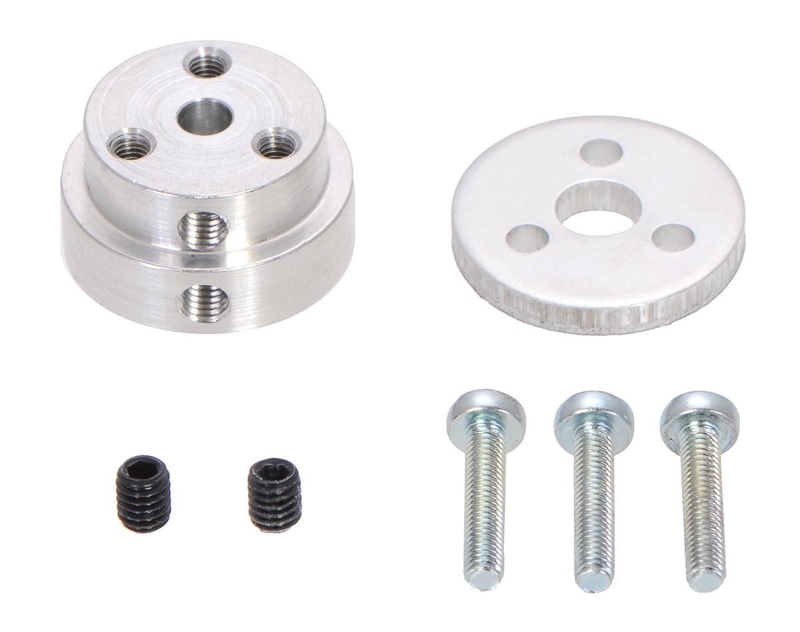 This compact aluminum adapter assembly makes it easy to use many common scooter, skateboard, and inline skate wheels with motors with 4 mm diameter output shafts, enabling many more wheel options for your project. 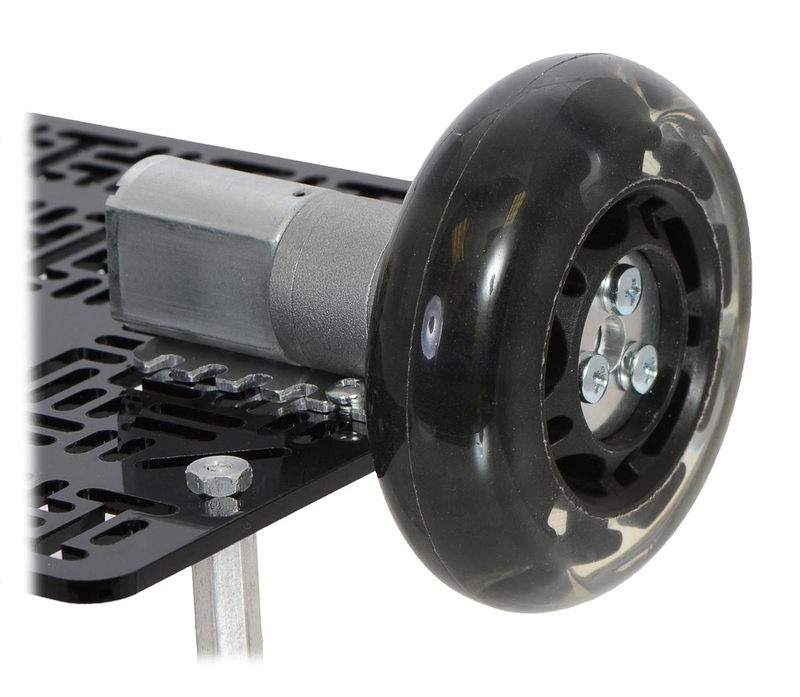 It works with most wheels that are compatible with standard 608 bearings. 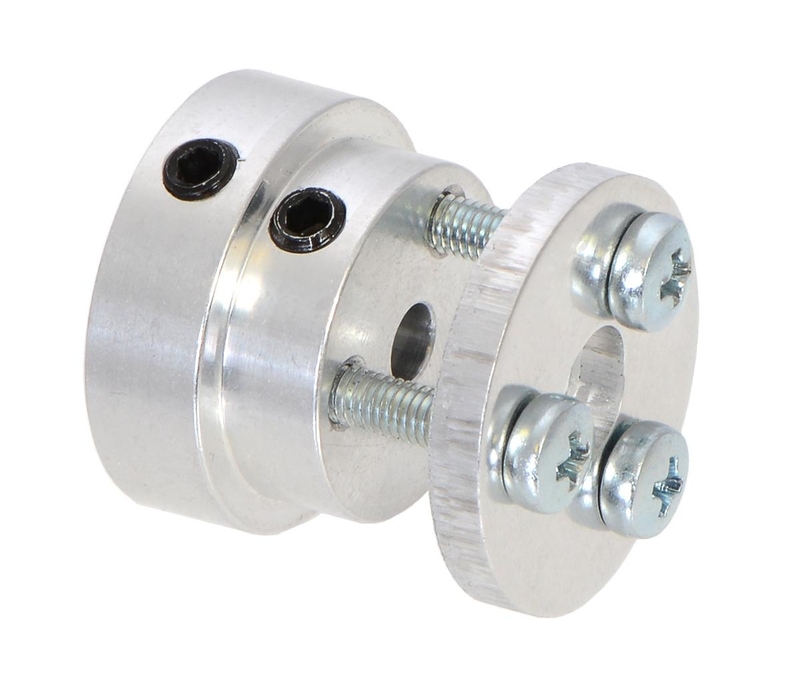 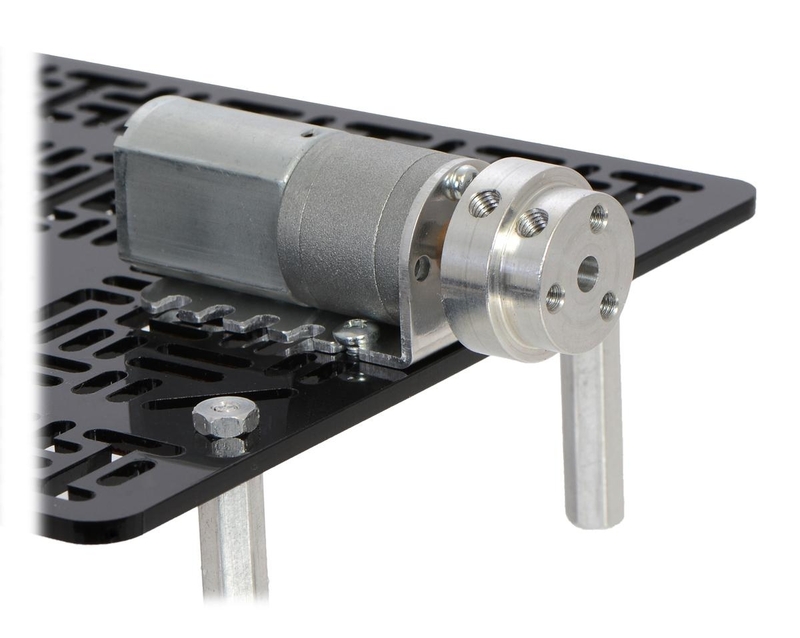 We also carry versions of this adapter that works with 5 mm motor shafts and 6 mm motor shafts.